After transitioning from an obscure curiosity to a ubiquitous annoyance in record time, fidget spinners finally completed the 21st century novelty toy cycle this month, becoming something that could potentially burn down your house. According to local news reports, at least two bluetooth-enabled spinners have now burst into flames while charging, may god have mercy on us all. Mothers in Michigan and Alabama shared remarkably similar stories about the toys, both of which had internal batteries to power bluetooth speakers (because of course they have those now). 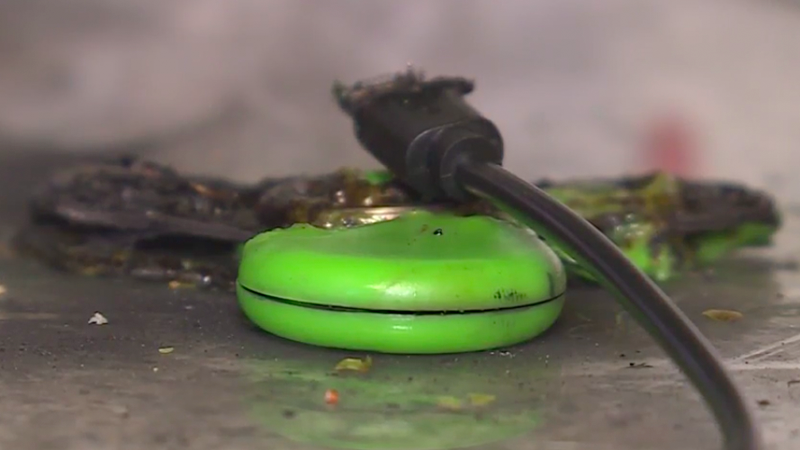 In each case, the device was plugged into an outlet when it caught fire, melting the spinner and scorching the surface below. Allums said the spinner had been charging for less than 45 minutes. When she tried to identify the manufacturer of the faulty spinner, the mother only found the words “Made in China” on the box it came in. 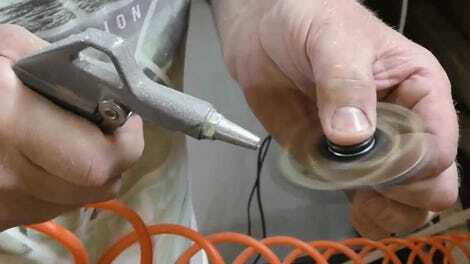 Like hoverboards (and really all unregulated devices with batteries) before them, electronic fidget spinners’ rush to market and lack of safety standards have almost certainly increased the risk of dangerous failures like these. Unlike hoverboards, the tiny spinners could easily be mistaken for harmless trinkets—but fire is fire. Never charge a product with batteries overnight while you are sleeping. Always follow the manufacturer’s instructions and use the charger from the manufacturer that is designed specifically for your device. CPSC is also investigating reported incidents involving children and fidget spinners. We advise parents to keep fidget spinners away from young children, because they can choke on small parts. Warn older children not to put fidget spinners in their mouths. Consumers who experience safety issues with fidget spinners are urged to report the incidents at SaferProducts.gov.